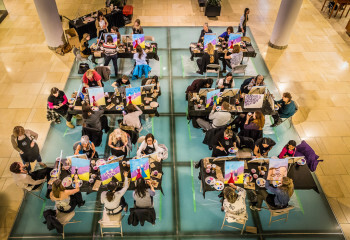 Spend time with us at Vin Gogh and you will experience Calgary's most fun, professional and creative art studio where you are the artist! 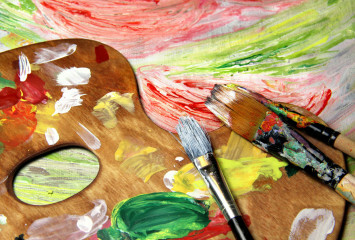 We are artists at heart and love sharing our bright, modern studio with you. 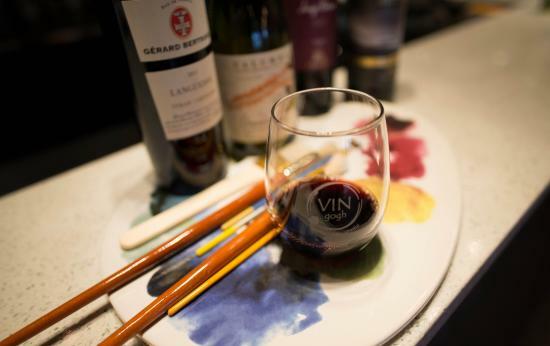 You can tap into your creative side while enjoying our carefully curated wine selection and delicious food. Joy and laughter are our thing. Wine, appetizers and dessert too. And today's NEWEST painted and art-based projects! 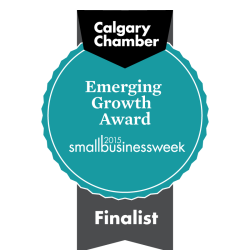 Vin Gogh Paint Sip Studio was Calgary's first professional wine and paint studio and we are still the leaders today. 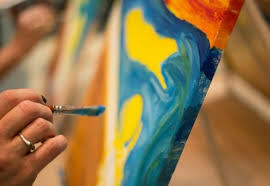 We believe that everyone deserves to experience the joy you get from creating art and being creative. No need to bring any art skills. We provide everything you need including all the project supplies, the artistic direction, step-by-step instructions and your first beverage. When you are done, you will be uplifted and filled with pride, ready to share your masterpiece with the world. Dream. Laugh. Learn. Create & Connect. At Vin Gogh Sip Studio.